The great Welsh icon Dr Meredydd Evans – masterful folk singer, Welsh language activist who campaigned for non-violent and peaceful protests, Doctor of Philosophy, folksong collector, head of the BBC’s Welsh light entertainments, writer, editor, historian – died on February 21, 2015 after a short illness at the age of 95. 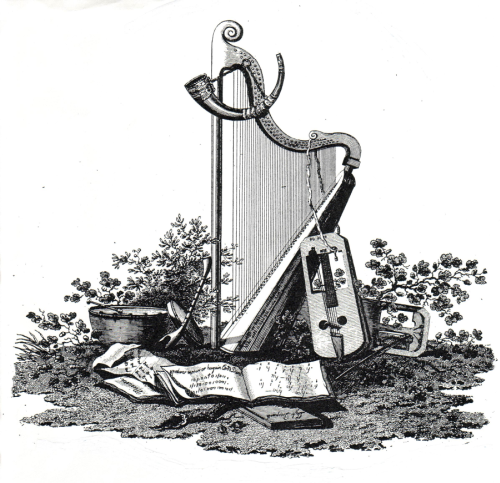 The Sain record company and trac (the all-Wales folk development organisation) both said that Wales had lost the mainspring of the nation’s folk tradition. Flashback to 2004: Phyllis and Merêd outside their cottage, Afallon, celebrating the release of Sain’s double-CD. 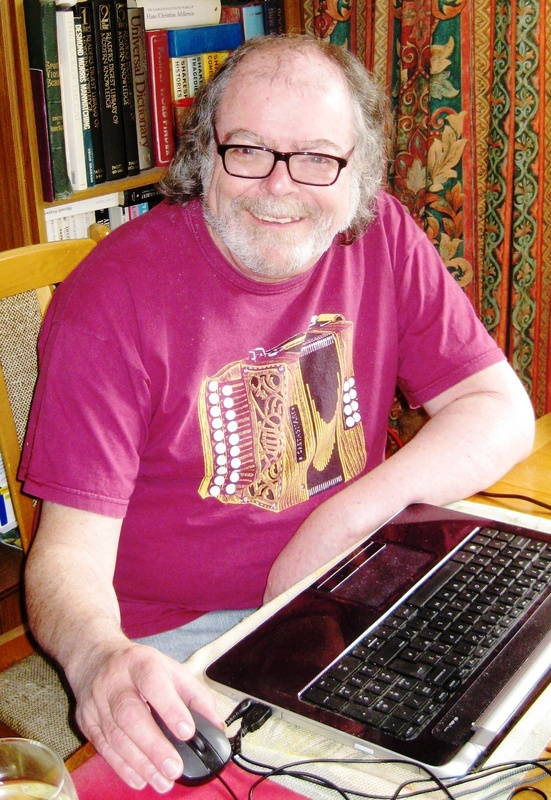 Known to everybody as Merêd, he was a notable performer of the rich treasure trove of folk music written in the Welsh language. 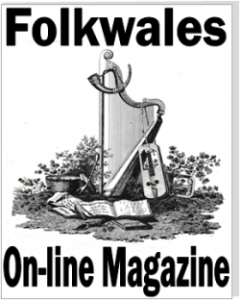 His award-winning recordings of his own unaccompanied folk songs and his published editions in collaboration with his American-born wife and professional singer, Phyllis Kinney, have helped to preserve Welsh musical legacy and promote it world-wide. In 2004, Sain released a double-CD tribute compilation of Merêd delivering 50 folk songs, including the 1962 Delyse recording of A Concert Of Welsh Folk Songs, with Phyllis and Russian harpist Maria Korchinska (“Tradition dressed up to suit the audience”, according to Phyllis), four tracks previously recorded on the Sain album Canu Werin, and the landmark collection, 28 folksongs which were first released in 1977 on Sain C756. In addition, trac published a book and accompanying CD of 23 traditional folksongs entitled Ffylantin-tw!, taken from the Merêd and Phyllis collection and edited by Robin Huw Bowen. The CD featured many well-known traditional artists, including Arfon Gwilym, Dafydd Idris, Greg Lynn, Gwenan Gibbard, Huw Roberts, Linda Griffiths, Lynne Denman, Siân James and Stephen Rees. The book and CD were launched to a full house at the Vale Of Glamorgan National Eisteddfod, with Robin and all the musicians singing live. Merêd was born in the village of Llanegryn, near the coast in southern Merionethshire, the 11th child in the family. His love of Welsh folk song can be attributed to three women – his mother, who always sang and was a rich tradition-bearer; Mrs Enid Parry, who aroused Merêd’s interest in folksong when he was a student at the University College of North Wales; and Phyllis, who passed on to Merêd her knowledge of folk songs from many different countries. When Merêd was three or four years old, he heard his mother singing ‘Si Hwi Hwi’, a slave-mother’s lullaby which came from the pen of a Welshman from Ffestiniog, who lived in the 19th century. The poet emigrated to the States, went to work in the slate quarries in Vermont and became involved in the anti-slavery campaign. As a revered and respected folk-singer and collector of Welsh songs, Merêd sang it on stage at the Smithsonian Institution in Washington; the song’s message rang down through the ages to the 20th-century American audience, just as alive and vibrant as it used to be. When Merêd was young, the whole family moved north to Tanygrisiau to work in the quarries at Blaenau Ffestiniog. “My father would have killed me rather than let me work in the quarries – but I wanted to work in the quarries,” he said. “All my friends were working in the quarries – it was natural, you know.” A school-leaver at 14, he started preparing for the Calvinistic Methodist ministry. When Mered was just 17, his father died of ‘the dust’. Merêd was brought up speaking Welsh, a Cymro Cymraeg, with the proud and strong culture of the Welsh language thriving in him. However, he said: “In the 1930s, in the Great Depression in America and over here, I didn’t worry about the Welsh language, because it was okay in my community. I didn’t see the threatening forces, which were there; the influences here were primarily English, but naturally, why not? We had been living right next to the most powerful language in the world. The political power of one language is frightening. “Once I left my home community, going outside and so on, I had to take a look back at myself; and you began to realise that there were pressures that threatened your very existence. You had to struggle consciously for your identity – not because your culture is better than anyone else’s, or that your culture is any greater. That’s not it. It just happens to be yours. You make sense of your life in terms of that culture, and it is that basic. A convinced pacifist, Merêd faced a military tribunal in World War II. He was registered as a conscientious objector and was granted unconditional exemption by a tribunal early in 1940, on the grounds of his religious beliefs. He said in 2009: “I maintain my Christian beliefs more than ever with these wars which occur today. The creation of the atomic bomb and weapons like that mean you wouldn’t have a world war, but global destruction. There’s nothing that could justify that. The war years saw him gaining a First in Philosophy, and he was appointed Tutor in Philosophy and Political Theory at Coleg Harlech in 1947 and worked there until the 1950s, following up as assistant editor of the Welsh newspaper Y Cymro. When Phyllis was a musical student, her imagination was fired by her brilliant teacher, a Welshman called Gomer Llewelyn Jones. “I’m from Pontiac, Detroit,” she said. “I’d never heard of Wales.” Phyllis learned to love the Welsh language. She came to Wales when she was in an opera company, met Merêd, who was by now working for the BBC, and subsequently married. Their daughter, Eluned, was born a year later. Phyllis was getting a lot of work from the BBC, but America still beckoned. The family went to the States, where Mered entered Princeton University, graduated with a Ph.D in Philosophy and got a job as an Instructor in Philosophy at Boston. Merêd loved folksong and was always singing at parties. He and Phyllis were inseparable – they often performed together at events. By now, Merêd had a considerable reputation, and Mo Asch recorded him for Smithsonian Folkways (the great Mo said: “I can’t understand a word, but I like it.”) The New York Times awarded Merêd’s LP, Welsh Folk Songs, in the top ten of the year. Much later, when Merêd and Phyllis had settled in Anglesey, the legendary US radio presenter Studs Terkel, an avid fan, rang. He had journeyed to Britain to interview two famous people – Merêd and Bertrand Russell! Merêd got a job as a TV producer in BBC Wales, and he later progressed to the post of head of light entertainment. His inspirational leadership saw the birth of a Welsh-language folk series, Hob Y Deri Dando, the Ryan A Ronnie comedy series and others – but he foresaw a Welsh-language TV channel as the only solution, and he resigned his post. He was a senior figure in Cymdeithas yr Iaith Gymraeg (the Welsh Language Society) and a life-long advocate of non-violent revolutionary means to promote the interests of Welsh speakers. In 1979, Merêd along with two fellow academics, Ned Thomas and Pennar Davies, was sentenced by the Carmarthen assizes for breaking into the Pencarreg television transmitter in the campaign which would lead to the establishment of the Welsh language broadcasting channel, S4C. Merêd was again in court again in 1999, after refusing to pay his TV licence, stating there had been a decrease in the amount of Welsh-language broadcasting in the last ten years. In March, 2014, he backed further peaceful demonstrations by Cymdeithas yr Iaith Gymraeg following protests in Aberystwyth. In 2012, Merêd appeared on Gai Toms’ album, Bethel, on which he sang ‘Cân y Dewis’. In 2013, he was awarded ‘Tywysydd’ (‘Guide’) in the first ever Parêd Gwyl Dewi Aberystwyth (St David’s Day Parade) for his services to Wales and the Welsh language. 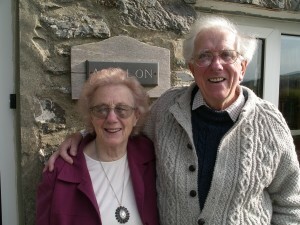 Merêd and Phyllis settled in the remote village of Cwmystwyth, Ceredigion in a cottage named Afallon. S4C Authority Chairman Huw Jones paid him this tribute: “Merêd was probably the first Welsh language pop star. With his velvety voice, his catchy songs and good looks, he charmed a generation in the 40s and 50s as a member of Triawd y Coleg. But he was much more than that. As a TV producer and then head of entertainment at BBC Wales, he felt passionately the need for popular programmes which would appeal across the nation, and he knew what was needed to make them happen.